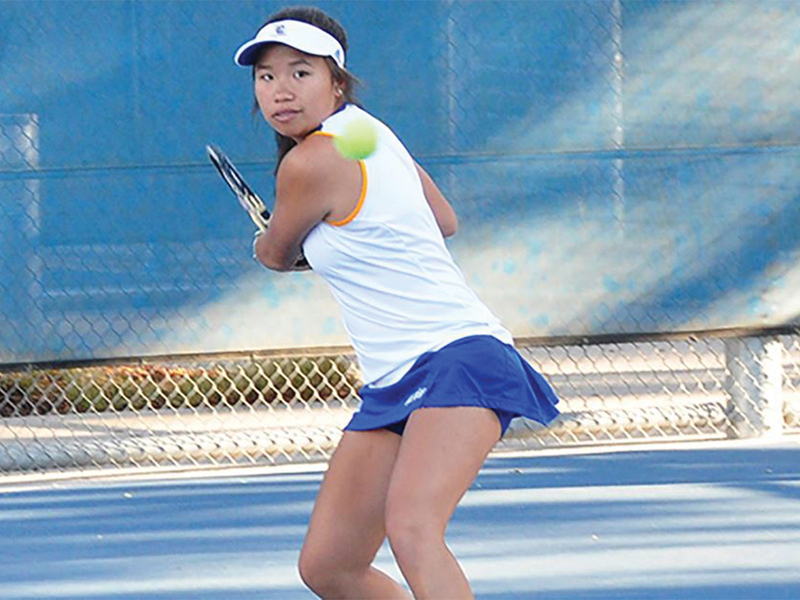 The UCR women’s tennis team opened their season in a conference matchup against Long Beach State University. Although the teams were even on the scoreboard after doubles play, the Highlanders ultimately ended up losing the match, 5-2. Long Beach’s number two and three doubles teams each earned a victory to give Long Beach a 1-0 lead. Riverside’s number one doubles team was able to even the score as sophomore Tia Elpusan and junior Sara Khattab earned a 6-4 victory on court one. With the match score tied at 1-1, the Highlanders needed to come up big on the singles side to open their season with a win. However, Riverside was only able to win two of the six singles matches on their way to their first loss of the year. Despite the loss, Elpusan was a major bright spot for her team as she won both her doubles and singles match. Elpusan and Khattab also won their first doubles match of the year after coming off a season in which they were named an All-Conference doubles team, which is a good sign for the duo early on. Another bright spot for the team was freshman Mahli Silpachai, who won her first ever collegiate matchup in the singles three match against Long Beach’s Natalia Munoz. Silpachai was able to win the match in straight sets, 6-3, 6-2. The Highlanders next match will be Friday, Feb. 1 against Hope International at the SRC Tennis Courts.